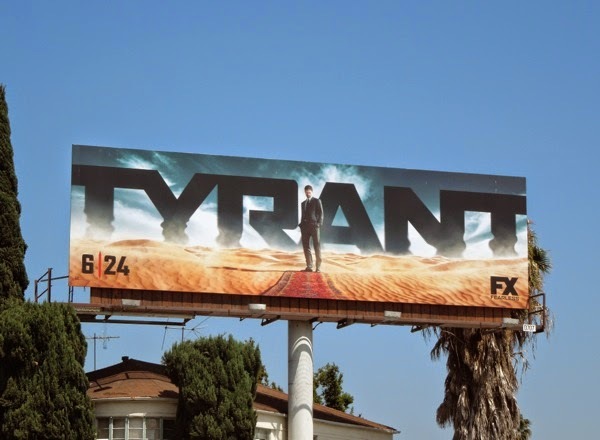 FX viewers have been following the exploits of undercover KGB sleeper agents in 80's spy series The Americans for two seasons (with another to follow), but are American audiences ready for a new Middle Eastern drama in the form of Tyrant. 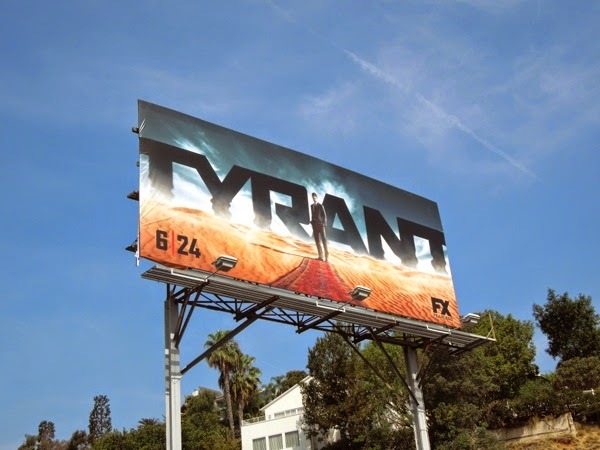 Set in the fictional country of Abbudin, the series follows 'Bassam "Barry" Al-Fayeed' (played by Adam Rayner), a Californian Pediatrician who returns to his homeland for his nephew's wedding with his American family after a 20-year self-imposed exile. 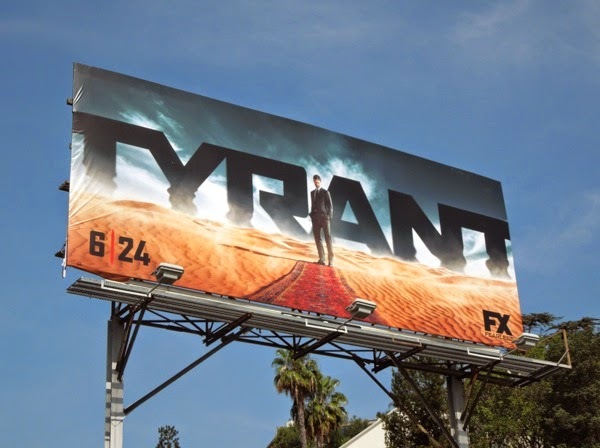 The youngest son of the war-torn country's controversial dictator, he's immediately flung back into the dramatic politics and family strife he left behind. 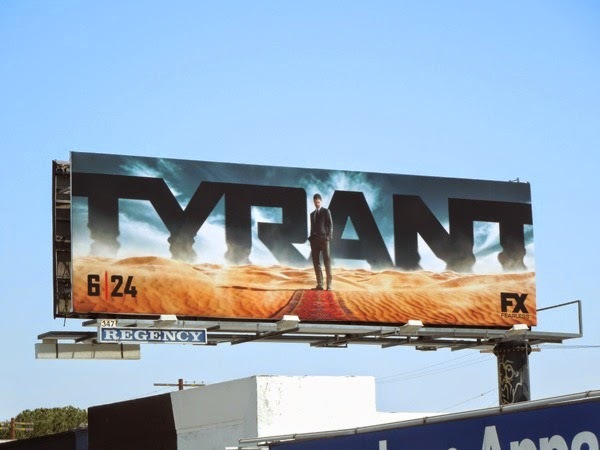 This bold, sand-strewn desert creative with Middle Eastern rug in the foreground and the show's title shimmering like a mirage in the background certainly has stand out and hints at the setting of the new drama. 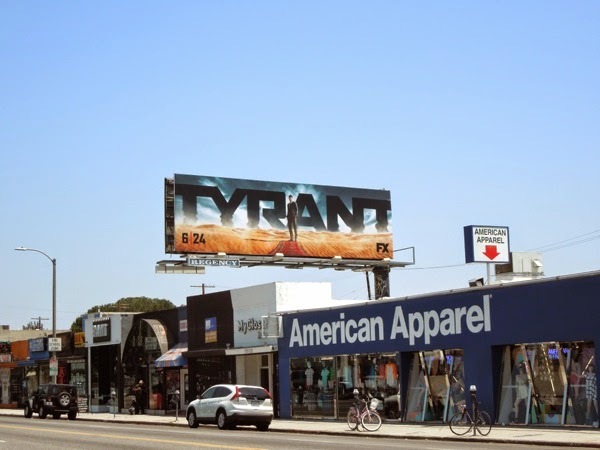 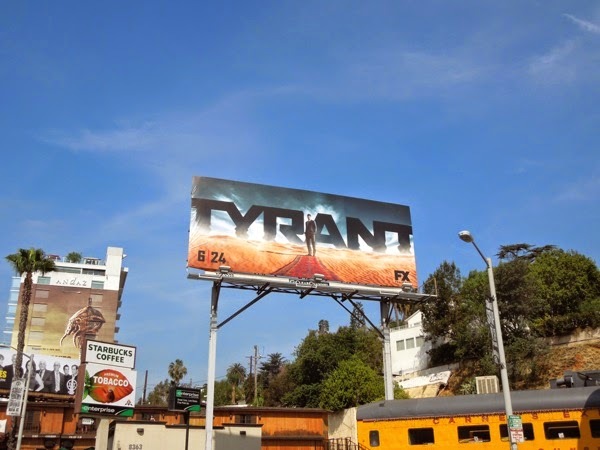 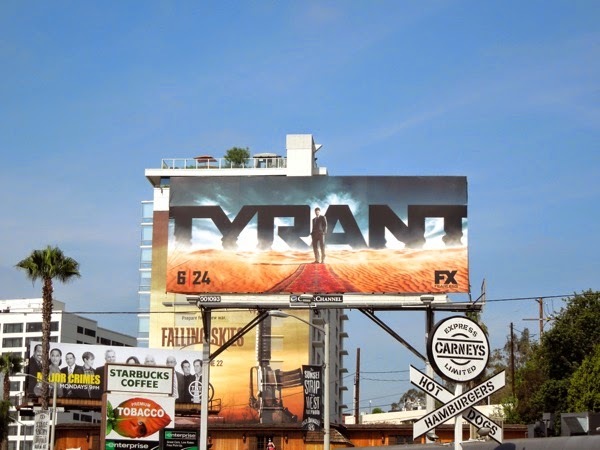 The impactful series premiere billboards were spied along West Hollywood's Sunset Strip on May 29, plus along Melrose Avenue and La Cienega Boulevard on June 11, 2014. 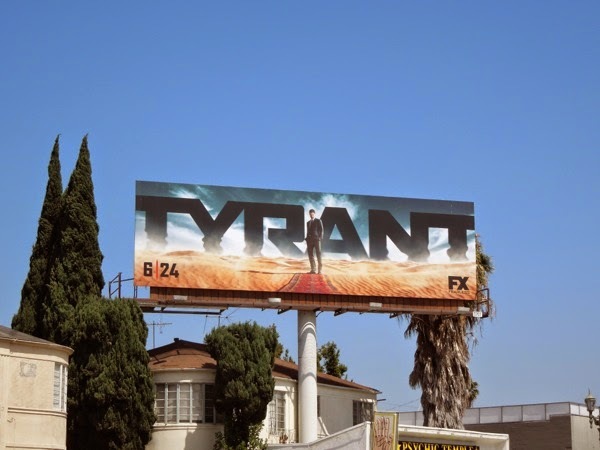 It's been a long road bringing this new show to TV, high-profile director Ang Lee joining then leaving the project, plus producers and writers coming and going, so let's hope in the aftermath of the likes of Showtime's Homeland, viewers will be able to engage with a show about family, duty and honour, which doesn't simply depict the Middle East as a distant land of terrorists and dictators.